I first posted about this subject a couple of years ago but it’s so fascinating to me I’m writing about it again. I happened to run across this study containing some amazing information. It’s from a publication called The Journal of Voice. The link is to the abstract — the complete article is behind a paywall but I can get it for anybody who’s interested in reading the whole study in detail. Its title is “Fundamental frequency variation in crying of Mandarin and German neonates.” I have always assumed, like most people I suspect, that babies cry the same the world over. When they’re uncomfortable or hungry they let us know by crying. It turns out this may not be the case. If so, then language development is pushed to the very first days of life — even before that, perhaps. There is actually previous work of a similar nature that studies what the authors termed the melody of an infant’s cry and how it varies with the mother’s native language. It’s long been known that from birth infants have a particular recognition of their mother’s voice, something that appears to be associated with the melodic contours of how the mother modulates her voice. Some languages are tonal. This means the pitch of the speaker’s voice affects the meaning of the words; the same sound can mean something entirely different depending upon the pitch. Mandarin Chinese, spoken by over a billion people, is such a language. There are four pitches that must be mastered to speak Mandarin. I have a friend who spent three years in China and really struggled with this. I don’t recall the details, but as I recall she told me, as one example, the word for “fish” means something entirely different when uttered in a different pitch. There is a language spoken in Cameroon that is even more complicated, sound-wise. This language has eight different pitches that affect word meaning, and there are further modulations in pitch that complicate things even more. 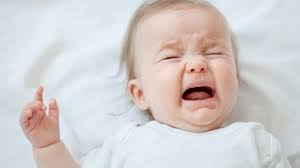 The crying of neonates whose mothers speak a tonal language is characterized by a significantly higher melodic variation as compared to – for example – German neonates. It’s even more interesting when you consider that these are newborns. They’ve only been out of the womb a couple of days. So the clear implication is that they heard their mothers speaking while still in utero and acquired patterns of vocalization that they begin to use immediately after they were born. That’s quite amazing, I think. It has implications even for those mothers who don’t speak tonal languages: that is, your baby can hear what you’re saying, especially during the last trimester of pregnancy, so be sensitive of your tone. So maybe if you are angry and yell a lot your infant may actually be impacted by that, and not in a good way. Something to think about.